Q- Is this a good time to purchase investment property? A- Yes! Due to current market conditions, the time to become a real estate investor is ripe. There are many low-cost properties in prime rental areas at this point in time, some needing minimal fix-up to turn into great, profitable rentals. Interest rates remain low at this time, as well. The market is improving for fix-and-flips now, and savvy flippers are once again turning profits on investments. Buying a property and holding it as a rental while your equity grows for a few years is a smart way to build wealth. Q- What types of properties are good investments? A- Any property that allows you to make a profit is a great investment. The homes that make the best rentals (that is, those that rent the fastest and typically maximize income for the owners), are single-family detached homes having at least 3 bedrooms and 2 full bathrooms. A basement, finished or not, is a plus as well. I have received several requests lately for ranch rental-homes that are wheelchair accessible. Due to our aging population and better care for the disabled population which allows them to live longer and more independent lives, I believe that the demand for these types of properties will continue to rise. Q- How are investment properties affected by the ever-changing real estate market? A- Real Estate investments work much like any other financial investment (stocks, bonds, IRA's, etc.) by which your money is currently tied-up hoping for a future return. Any investor must be a patient person who can weather the storm as the market rises and falls. The old adage "Buy low, sell high" applies to investment properties as well. Currently, there are many properties that can be bought for a low price. Many of these investments can be improved and sold for a higher price. I always encourage my inexperienced investors to purchase investment properties that will make good rentals. In a rapidly changing real estate market, there is less opportunity to make a mistake on an investment that won't sell if the home can be used as a rental. It absolutely makes good financial sense to allow someone else to make your mortgage payment for you while your investment grows in equity. 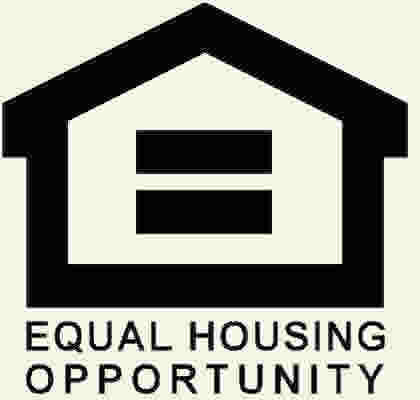 Q- I have heard that HUD homes VA's and Foreclosure (Bank Owned/ REO) Properties are good investments. Is this true? A- Yes, they can be good investments, but are not the only good investments. It's important to keep your options open by ferreting out any possible good investment rather than narrowing your search to only HUD or Foreclosure Homes. Q- I have heard that is is hard to buy a HUD, VA, or Foreclosure Property. Is this true? A- Yes, and No. To buy a HUD or VA property you need a Realtor who is experienced in navigating the HUD and VA systems. There are forms, contracts, and deadlines that are quite different from those that the average real estate agent normally deals with. HUD and the VA are government agencies with their typical red tape, so missed deadlines or incomplete forms can turn into a real hornet's nest which can cause the agency to cancel the sale and places your earnest money at risk. There is little help available from these agencies, so do choose your Realtor carefully. With Foreclosure Properties, we are dealing with banks, which do not play by the agreed-upon real estate rules. They usually disregard deadlines, use their own sales contracts, and are difficult to deal with. Again, I urge you to choose an agent who is skilled in bank negotiations. Q- What about Short-Sales? Are these good investments? A- Again, that depends on the particular home, purchase price, and necessary repairs. Do not make the common mistake of thinking of Short-Sales as "Quick Sales". They are anything but quick. Short-Sales are currently taking 3-8 months to close. Short-Sales are homes in which the Seller can't afford to sell the home at market price, so they are asking their Mortgage Lender (bank) to accept a sale for a lower amount than they owe and hopefully, forgive the remainder of the debt. Short-Sales are extremely difficult to navigate, so it is of utmost importance that your Realtor be skilled in this arena. Q- What are the steps in purchasing an investment home? 1. Come up with a good personal budget, so you know what you can really afford to pay monthly. Currently, you will most likely need good credit and 10-20% to put down on an investment home. 2. Assemble your team. You will need a mortgage broker/ lender that you feel comfortable with and trust explicitly. And you will need a Realtor who you trust, can communicate well with, who has time to make you a priority, and whom you believe can and will negotiate your best interests. Your Realtor can often recommend lenders that are reputable and talented. It is a good idea to interview several lenders and agents before you decide who you want to play on your team. 3. Based on information from your team, decide what you want and need in an investment. Communicate openly with your team and keep them updated of your changing needs. 4. Be ready to act quickly when your Realtor calls. Great investments go quickly, so there is little time to hesitate when the right one comes along. 5. Be prepared for the roller-coaster ride. Purchasing any home is fraught with ups and downs as negotiation and re-negotiation takes place. This is even more so with an investment property. Be patient and trust your team. Let them know if you want more or less information to be passed along to you. (This depends on whether you are a control-freak with an iron-coated stomach, or someone who would rather be spared the nasty little details that would have you gulping Pepto). And remember that this is a long and rewarding ride, so strap yourself in, hang on, and enjoy the ride!